Today’s stricter lending environment means that processing a mortgage application is more complex than ever, given the number of steps that lenders, underwriters and mortgage insurers must all complete before home buyers truly have their financing in place. To help ensure the process goes smoother, you can also take a few steps of your own. By planning ahead, you’ll be in a much better position to negotiate and move forward on a purchase—and avoid any unpleasant surprises regarding your mortgage. As a home buyer, it’s also important to consider additional expenses, beyond your mortgage payment, that can impact how much home you can afford. Depending on your situation, these other expenses could include property taxes, mortgage insurance, homeowners insurance, home maintenance expenses, homeowner association fees, parking expenses, and utilities. Also, be sure to decide what YOUR monthly budget is for housing, not just the purchase price that your lender will approve you for–you may want your monthly housing expenses to be much lower than a lender is willing to lend you. Deciding what types of mortgage is best for you depends on your personal situation, your financial scenario, and your future plans. For example, if your down payment isn’t large enough to qualify for a conventional loan, an FHA mortgage can be an excellent option. Alternately, you may qualify for an attractive first time home buyer program offered at the national or local level. Mortgage programs are always changing, so be sure your lender and your agent both are giving you several options to choose from. Talk to several lenders of different sized banks. Rates and fees are typically very competitive between lenders, so it’s often more important to focus on other factors, including the level of service provided and how well they’ve executed transactions for other buyers. The type of mortgage you are seeking may also impact your choice of lender, since some are more familiar with certain mortgage programs than others. Especially these days, different banks can offer different programs. We’ve seen clients save over $200 a month on their mortgage payments just by talking with another lender that had a loan program the first bank they spoke to wasn’t able to offer! Completing a loan application with one or more lenders will help confirm whether your intended mortgage financing plans will work out as hoped, or if you must modify your plans. It’s important to understand since pre-approvals are contingent upon the lender receiving full documentation, your pre-approval does not guarantee that you have a mortgage. 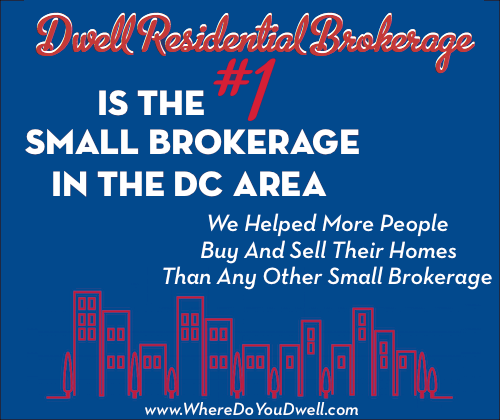 Still, it’s an important first step that will also put you in a better negotiating position with sellers. As soon as you are under a contract to purchase a home, you must “lock-in” and commit to working with one lender to complete your mortgage application. This needs to happen immediately upon going under contract to meet the deadlines you’ve agreed to in you offer. You will probably be charged a fee at this point because this is when the lender starts incurring processing expenses on your behalf. Show your lender that you are serious about working in partnership with them by submitting all the required documentation as quickly as possible. 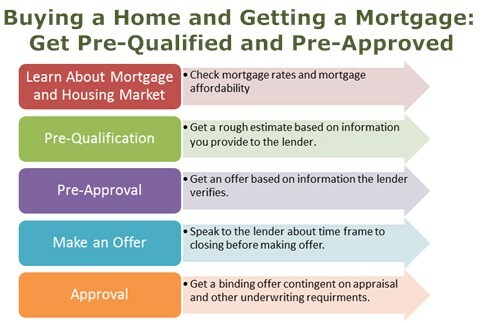 Following these five steps will greatly improve your results in getting a mortgage. I’m happy to provide you with more detailed information on each step in the process and answer any questions you may have.